I have been exercising most of my life. As a former athlete, dancer and current Pilates Instructor, my physical abilities always have been front and center in my focus. For most of my life, I have needed to stay in performance shape. Formerly I worked toward this goal by spending hours a day in a dance studio, gym or on a practice field. Now, as a fitness instructor, I am no longer performing or competing but I continue to set fitness goals for myself. I want to set a good example and motivate my students as my teachers have motivated and inspired me. I am dedicated to being physically fit, to being in the best possible shape I can be. I do this not just for appearances, but also for my overall health, mental well-being and safety. As I rapidly approach my mid-fifties, I no longer need to be in peak performance shape, but I do want and need to be ready for all the things I want to accomplish or anything that comes my way. I want and need to remain active and moving for a lifetime. I want to not only live with “spontaneous zest and pleasure,” but to be ready to jump out of the way of an oncoming bus if needed. Pilates has given me endless ways to stay on that path. My quest to remain active has given me the confidence to try and allowed me to still be able to slalom water ski (got up first try this summer), achieve level one in a Parkour class, learn to surf, take kite surfing lessons, keep up with my 12-year-old, and fly on silks in an aerial class. I credit my Pilates practice for keeping my body agile and strong enough to try and enjoy all of these activities in my fifties. The one event that I feel has most proven to me that I’ve maintained my fitness in my fifties is a specific day when I needed to call on my body in an emergency. The summer I turned 50 my husband was undergoing chemotherapy for Non-Hodgkin’s Lymphoma. 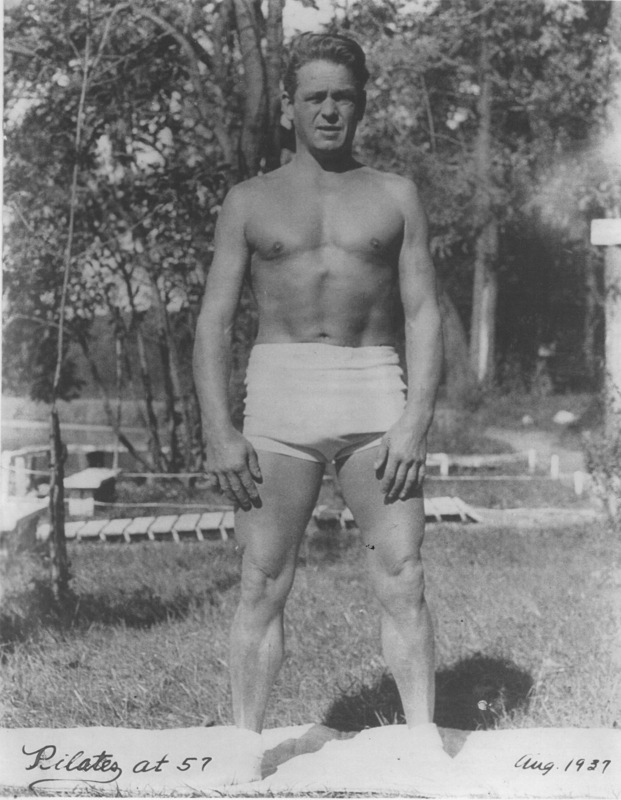 The treatment left him fatigued and queasy most of the time but he was determined to enjoy a bit of summer. We took an afternoon dinghy ride up the Choptank River to one of our favorite spots, a somewhat isolated shoreline and sandbar. With us were my son and step-grandson (both age 8 at the time) and my stepson (age 30). We beached the boat and went exploring. A few minutes into our walk I looked back at the boat, which was now drifting from the beach and floating about 100 yards into the Choptank River. If that boat got away we were stranded. Cell phones were on board. My husband did not have the energy, and the two eight-year-olds looked to the adults to rectify the situation. My stepson and I ran. I passed him, (I am not a runner). I ran into the water until it was too deep to run. I swam (I am not the best swimmer) as fast as I could and caught up to the drifting boat. I called on my body in an emergency and it came through. 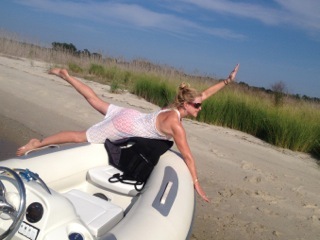 While a bit of adrenaline helped, I totally credit my Pilates practice for getting me to that dinghy. It has been years since spending those hours in the gym, on the field or in a dance studio. But I do practice Pilates daily. If my schedule doesn’t permit me to do a full work out, I always make it a priority, first thing in the morning, to do at least a 15-minute Pilates mat. It is inevitable as we age that our bodies and abilities change, but knowing I can do something physically challenging in an emergency motivates me. It also gives me a sense of responsibility to maintain that ability as long as possible. My practice of Pilates is my path to doing so. It is an empowering method of exercise for a lifetime. ~Author Lesa McLaughlin is the owner of Excel Pilates DC, the first Pilates studio in Washington, DC. Lesa’s experience is that of a Master teacher. She has worked with clients for 20 years in The Pilates Method Of Body Conditioning. She was certified as a teacher in The Pilates Method of Body Conditioning by The Pilates Studio in New York in 1995 under the tutelage of Romana Krowsanavska. So you want to do Pilates? What Can You Do? You Can Do Pilates! Excel Pilates DC, established in 1998, located in the Brookland neighborhood is fully equipped Pilates Studio with Reformers, Wall Units, Chairs, Barrels, Cadillacs and mat classes. Excel Pilates DC is the Pilates studio of choice for many residents of Washington, DC, Maryland, and Virginia. Our clients range in age from 16 – 80 years old and include all levels of fitness. Our fully certified teachers are committed to teaching quality sessions in the original Pilates Method of Body Conditioning, in an empowering and non-competitive environment.